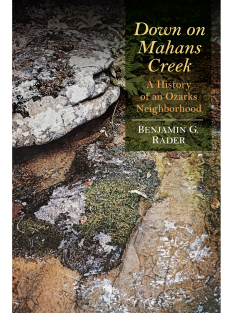 In the winter of 1818, Henry Rowe Schoolcraft set out from Potosi, Missouri, to document lead mines in the interior of the Ozarks, then a wilderness of near-virgin forests, limestone cliffs, prairies, and oak savannahs. 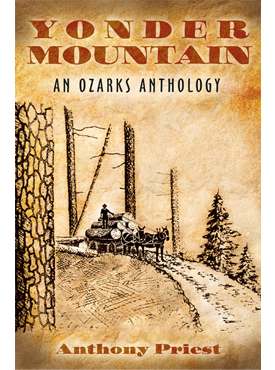 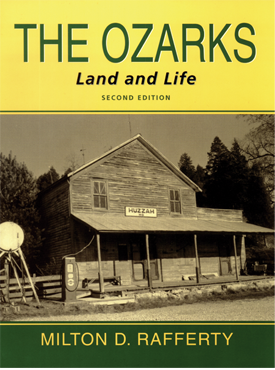 Intending only to make his fortune by publishing an account of the area’s mineral resources, he became the first skilled observer to witness and record frontier life in the Ozarks. 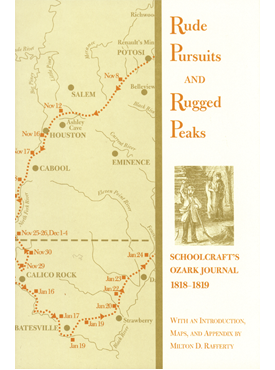 The journal kept by Schoolcraft as he traveled ninety days in the rugged terrain of southern Missouri and northern Arkansas was originally published in 1821 and has become an essential record of Ozark territorial society and natural history documenting some of the earliest American settlers in the region, the power and beauty of many lost portions of the White River, the majesty of the open prairies, and the wealth of wildlife once found in the Ozarks.